An old tradition becomes interlaced with a new take on art in the Schingoethe Center exhibit “WOVEN: The Art of Contemporary Native Weaving” opening Tuesday, October 4 from 5–6:30 p.m. The exhibit features the work of 18 renowned indigenous artists who expand concepts of Native American art through their use of nontraditional materials and motifs, putting interesting twists on baskets, rugs, photographs and sculpture. “WOVEN” will also be complemented by two companion exhibits: “WOVEN: Traditional” (curated by Bero) and “A Place for Everything: Containers of Native America,” curated by Laura Russman, curator of collections. The opening reception for “WOVEN” will be followed by an artist talk by Kelly Church (Ottawa and Chippewa). Clark will provide an overview of black ash basketry. Many of the artists in the exhibition come from families of weavers whose artistry dates back generations, including Church. She comes from the largest black ash basket-making family in Michigan, an unbroken line of weavers. Her exquisite technique combines with unique materials to bring freshness to the craft. Her piece titled “Treaty Hat” pushes the boundaries of these traditions to comment on the loss of her people’s land from which her materials are harvested. 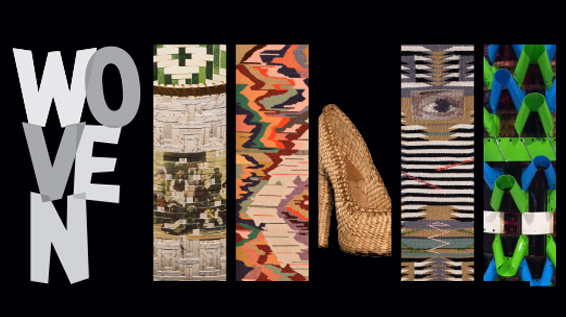 “WOVEN: The Art of Contemporary Native Weaving” runs through Friday, December 16, 2016. For more information, visit aurora.edu/museum.